Are you a Physio looking for an exciting new career challenge in 2019? It’s been another record-breaking year for us here at Plym Physio and due to our burgeoning caseload we’re looking for a dynamic, enthusiastic and motivated Physio to join our team, working from our purpose-built clinic and gym opposite Heles School in Plympton. Initially, we’re offering 2 days with remuneration calculated as a percentage of fee. There is also the potential for a (separately negotiable) introductory pay arrangement whilst you settle-in and build your case-load. As a growing and developing practice there is scope to extend hours into evenings and weekends as well as additional day-time hours in the future. Dynamism, innovation and enthusiasm are key to us at Plym Physio so if you are looking to broaden and develop your own skills then we are really keen to support your CPD with a full package of in-house training but also encourage you to bring your own style and passions to the clinic in order to assist our clients in full recovery. 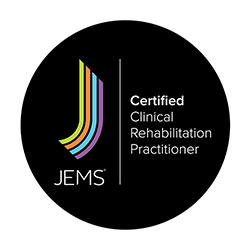 We really want an Associate who is looking to expand the reach of Physiotherapy beyond the traditional boundaries so if you think you can bring something exceptional to our practice we want to meet you!! Interviews will be held the week commencing 15th April 2019 at our Plympton practice.